Here are some signs that you either had or are having a false start. 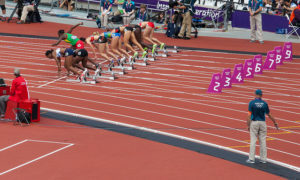 You know you are having a false start when you realize you are losing support for the changes you want to make. When you first presented your ideas your followers were somewhat supportive, but as time went on you realize your followers are becoming less interested. They are withdrawing their support, they no longer have time, or they are suddenly too busy. You know you are having a false start when you hear comments about your project that are either vague or negative. People are reluctant to say exactly what they are thinking. You get responses like, “its fine” or “it’s OK.” They either don’t want to hurt your feelings by being honest, or they aren’t sure they can be honest with you. You know you are having a false start when the only people you want to listen to are those closest to you and those who think like you. In other words, there is very little objectivity or push back to your ideas. Anyone who challenges your idea, you either view as a threat, immature or stuck in their ways and reluctant to change. While some people may be that way, the problem arises when you view everyone who does not agree with you in that way. Having a false start does not mean that your idea is bad or that you are wrong in wanting to do it. Sometimes your false start is a result of poor planning, lack of clear communication, bad timing or not having the resources necessary to implement and realize the change. Whatever the reason for your false start, the challenge for you is to figure out how you can recover from it? Are you stuck while trying to implement something as a leader? Maybe you had a false start and need a second chance. Before you quit all together, start considering how you can correct the mistakes of your first attempt so you can try again? Next week we will look at how to recover from a false start.